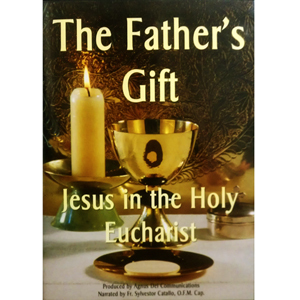 The Fathers Gift is a blueprint to discover the reality of the Real Presence of Jesus Christ in the Holy Eucharist. If you are seeking a deeper understanding of this mystery of our faith, a personal conversion of heart, or a spiritual aid for those you love, this video presentation is for you! Meet Sister Briege McKenna, OSC, Fr. Rene Laurentin, Fr. Emilio Tardiff, Fr. Dario Betancourt, Fr Gerry Orbus, and others as they make a holy defense for the Eucharist and share their personal insights and stories. Common Questions Biblical Answers: How to Explain and Defend the Catholic Faith.